Joey Butler is moving to Japan to play with the Orix Buffaloes, and I am happy for him. Osaka is a really cool city, and Brandon Dickson, who's 4-3 with an ERA of 2.47 this year, could use the run support. I'm happy I'm happy for him, too. Because Joey Butler is a warning sign—Joey Butler is the player you become interested in when your team's farm system has nothing else for you to be excited about. A tweener outfielder who strikes out too much with a career AAA line well above the PCL average—.304/.397/.472—is the kind of player whose Ken Phelps All-Star hum is only audible above the white noise of Juan Encarnacion swinging through a hundred curveballs. It's John Gall, basically. And if you find yourself getting excited about John Gall, like we used to, it might be time to powercycle your general manager. I've been in Japan for the last week or so, singing Hall and Oates and anime theme songs at karaoke with my coworkers, so I missed the brunt of what was undoubtedly a media hurricane after the Cardinals signed David Aardsma to be the last-guy-in-the-bullpen-maybe. But the only thing that really struck me after I finally got home was just how briefly he was David Aardsma in the first place. It's hard to think of a more perfectly condensed relief career than the one he's had so far: Four years as an unsuccessful, intermittently tantalizing prospect, one year as a relief ace, one more year as a faltering relief ace, and then three years in the wilderness. Why FiveThirtyEight incorrectly projected Pete Kozma to win the 2012 presidential election. Last season Pete Kozma did not have one of the most surprising down years since 2006. This is one of the few times I'll feel empowered to disagree with FiveThirtyEight on a math question, so please excuse me for stretching it out to post length. If you read the link, you'll see that what they're doing has a lot in common with the old PECOTA percentile forecasts, which were always one of my favorite parts of subscribing to Baseball Prospectus. Pete Kozma's .238 wOBA is, according to a chart of disappointments bookended by Travis Hafner and Clint Barmes, at the 0.2 percentile of what we could have expected from him. The Marcel the Monkey Forecasting System (or the Marcels for short) is the most advanced forecasting system ever conceived. Not. Actually, it is the most basic forecasting system you can have, that uses as little intelligence as possible. So, that’s the allusion to the monkey. It uses 3 years of MLB data, with the most recent data weighted heavier. It regresses towards the mean. And it has an age factor. I've always thought of it as a (needed) corrective to the famously Ptolemaic PECOTA; if you feed it three years of data, you get a surprisingly good projection. But it doesn't have three years of data for Pete Kozma. It has 2012, in which he hit .333/.383/.569 in 82 major league plate appearances. His .548 OPS last year was extremely surprising if your data is a mix of Pete Kozma's 82 best plate appearances ever and "the league mean over 200 PA". I think/hope that Paine's doing more than that here, but based on his result—Pete Kozma's projected wOBA is .350, about even with Andruw Jones before his own collapse—he can't be. I don't know where I first read it, or even if I'm paraphrasing it accurately, but I've always been struck by something Bill James said about new statistics: If you're getting a bunch of results that make no intuitive sense, and confirm none of your preexisting hypotheses, you might have a problem. If your pitch-framing research suggests that Tom Glavine was fooling umpires on his deathbed, you might have a new statistic. Pete Kozma hit .214/.280/.289 in AAA in 2011 and .232/.293/.355 in AAA in 2012. He hit .217/.275/.273 in the major leagues in 2013. ZiPS projected .226/.281/.328. This past offseason, shortly after he asserted the kind of prospect he is in the Arizona Fall League, Cardinals outfielder Stephen Piscotty went to a training facility near Stanford University to jump six times and find out the kind of athlete he is. The goal was to calculate how to become the athlete he wants to be. Piscotty enrolled in a program at Sparta Performance Science, a Menlo Park, Calif.-based, trainer, that helped him improve by first identifying his category of athleticism. Piscotty stood on what Sparta calls its “Force Plate” and leaped six times. Each jump was measured and quantified and “run through these algorithms that I don’t know how they work,” said Piscotty, who, it should be noted, majored in engineering at Stanford. The Force Plate tells Piscotty that he is a "momentum athlete," who needs to work on building his drive to increase not only his speed but his strength. I can't speak to Sparta's taxonomy, but scouts would probably nod at their conclusion; Piscotty's career ISO is .163, which puts him about where Kolten Wong was last year. I've noticed (in myself and others) a weird, irrational tendency to feel more confident in our B hitting prospects than our A ones, and in the health and performance future of our top pitching prospects over our top hitting prospects. I almost expect Oscar Taveras to flame out and end up exiled for the next gen of Matt Holiday or Adam Wainwright (Or jeebus forbid, the Edwin Jackson puu-puu platter), whereas I fully anticipate Stephen Piscotty will hit like Matt Carpenter and Alex Reyes will wind up the next Shelby Miller, against all reasoned analysis and probabilistic tendencies. This almost certainly is irrational, rather than the rapid and unexplainably brilliant work of our pattern-matching subconscious, but I can't help feeling it, too. If Piscotty were more athletic, and hit the ball harder, I'd probably be more nervous about him. Put Oscar Taveras on the force plate and tell me he's really a fifth-rounder scouts keep forgetting about. Are the Cardinals smart for trading Brett Wallace and Zack Cox when they did, or dumb for drafting them in the first place? Wallace is out in Houston, of all places, after putting the finishing touches on his transformation from line-drive contact hitter to not-quite-power-hitter who strikes out in a third of his at-bats. Anyway, he's ahead of Cox, who just hit .269/.357/.367 in his age-24 season at AA Jacksonville. The Cardinals' success with unusual bats at offense-first positions defies parody by now—Allen Craig, Matt Adams, Matt Carpenter—but the expensive ones have burnt out well shy of average. I can only assume that Stephen Piscotty is being protected by his status as a supplemental first-rounder; if he'd been drafted ahead of Michael Wacha, the Cardinals probably would have traded him for Pat Neshek six months ago. Working through all the links that stacked up in NetNewsWire while I got settled in at Fangamer, the videogame merch company where I am not a blogger for once. Up next, and only a week or so old: An addendum to our extremely long discussion about Yadier Molina's Hall of Fame case circa 2030. 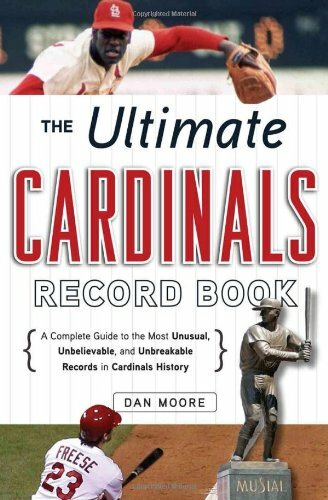 Yes, but—the Cardinals' pitchers over that same period of time will give you very sad looks, because those runs are coming out of something we thought we were measuring before they go into something we're just starting to measure. Now, Harry Pavlidis and Dan Brooks clawing some runs back for said pitchers. The [With Or Without You] analysis created adjustments ranging from +/- .1 called strikes per opportunity and from +/- .01 runs per opportunity. The largest gross beneficiary of easy-to-frame pitchers was—Yadier Molina. The perennial gold glove winner started the analysis with 127 runs added before giving 60 back to his pitchers. This reflects the command contributions of teammates of the class of Chris Carpenter and Adam Wainwright and is no knock on Molina, who still ranks high overall. I mostly read this for the continued travails of Yadier Molina's weird Hall of Fame case, obviously, but the thing that makes me most comfortable with their methodology is just who did the best job getting extra strikes between 2008 and 2013: None other than 42-year-old Tom Glavine. It's weird, now that blanket disdain for all decision-makers isn't a vital part of the baseball blogger tool kit, just how much our picture of Aledmys Diaz changed once it came out that he'd be making $8 million over four years instead of 20. Last year he was going to be the plan at shortstop; now he's a backup plan among backup plans, with no particular ETA or role set out for him. At least, no particular ETA or role set out for him by the Cardinals. $2 million a year for Cardinals fans, who can afford to be less equanimous about this kind of thing, puts him squarely in Daniel-Descalso-replacement territory. He is not accruing value over a replacement player; he is accruing value over a player who's due to be replaced. Which makes a positive first impression easier, at least. It also gives us something to calibrate our lowered expectations by. Daniel Descalso was pretty busy at his age—coming off a huge half-season at AA Springfield, he hit a disappointing .282/.350/.421 in a full year at AAA Memphis and proceeded to ruin huge Springfield half-seasons for future Cardinals prospects forevermore. If you're a Diaz skeptic, though, read it this way: That's what it took for Daniel Descalso to hit .243/.310/.346 over three seasons in the major leagues. If Aledmys Diaz hits .323 or slugs .510 over half a year in the high minors I will overreact just like I did when Daniel Descalso did it. But while we're fitting him for his fatigues, I'll try to remember that a .771 OPS in Memphis was league average in the PCL in 2010. There's a lot Aledmys Diaz has to do to catch up to where Daniel Descalso was at 23. Gambling truly damages fan interest. The game of baseball was devastated in the wake of the 1919 Black Sox scandal, with trust in the game eroded to the point of near annihilation. Baseball can weather a scandal of whether players are using artificial means to boost their game; it cannot weather a scandal of those players purposely trying to lose. We don't actually have to go back to 1919 to see this happening; baseball is being ruined by a gambling scandal right this second in Taiwan, one of the baseball-craziest countries in the world. Professional baseball in Taiwan suffered its first game-fixing scandal in the mid-90s. Attendance collapsed immediately; "by the end of the 1999 season, average attendance at most games," which had peaked just under 7000, "was less than a thousand." The game experienced a revival in the wake of the 2001 World Cup and a merger of its two struggling leagues only to be crushed by scandals again in 2005 and 2008. Here's a chart I've made especially for Pete Rose. It's MLB and CPBL attendance since 1990, with 1990's per-game average set at 100. Zoom in and see if you can spot the gambling scandal. I’m working on a longer piece about this, but here’s a nice reminder of where we are in the careers of the three top prospects in the NL Central circa 2005. Andrew McCutchen: Winning MVPs. Jay Bruce: Getting what is probably undue MVP hype. Jay Bruce could have an MVP year. He really could. He’ll be 27 next month. This will be his seventh big-league season. He’s at the epicenter of his prime. It’s time. Bruce has had MVP stretches, weeks and months when the Reds rode him like Secretariat. He has had full seasons of MVP-quality defense. His arm is a game changer. The potential to be a special player is there, and up to now just out of reach. Bruce was always supposed to be the one who grew out of center field, but the super-high strikeout rates have basically left him stalled at the player Colby Rasmus is trying to be with the bat. What happened with Bruce, Rasmus, and McCutchen is the kind of thing that leaves us open to naive-projecting our favorite top prospects right into MVP contention: Very occasionally, the young guy who appears to be making rapid progress in a way that confirms your anonymous-scout patter really is making rapid progress. At 20 McCutchen hit .265/.328/.388 in AA, which meant he was Growing Into His Power and Learning To Hit. Rasmus hit .275/.381/.551 at the same level, which left me basically satisfied that he had Grown Into His Power and Learned To Hit. Then Rasmus hit a stall in AAA Memphis and McCutchen hit .283/.372/.398 in AAA Indianapolis. All this time, while Rasmus has bounced between slugging .500 and stalling out and McCutchen has continued to learn to hit and grow into his power, Jay Bruce has put together season after season as a second-tier slugger with a great arm who is not quite a center fielder. He’s the only one who has refused to give us the narrative progress we ask of our top prospects, so we’ve thrown up our hands and given him one ourself: Maybe this is the year he does not hit like Jay Bruce. 2010 was Jaime Garcia's worst season according to every contemporary pitching metric and his best season according to the one ubiquitous pitching metric. He's spent the rest of his career so far paying off that debt, and the combination of those two trends is a good way to instill a sense of unfounded dread in basically every baseball-fan demographic there is at the same time. After all that, it seems like the gods of baseball could have shown at least enough common decency to give him recurring elbow problems.